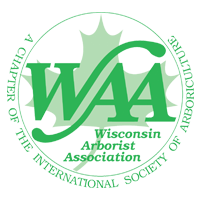 Now that we are well into Wisconsin's thunderstorm season, branches and trees are at high risk for storm damage, especially for trees that have been poorly pruned or previously weakened. Whipping winds and pounding rain can send weak limbs and trees crashing to the ground in a matter of seconds. Not to mention, entire trees are often uprooted due to soft ground caused by excessive rainfall, restricted root areas and weakened or unsupportive root structures. While storm cleanup is the first thing on everyone's mind after the skies have cleared, it is important for property owners to be aware of the dangers of removing damaged or fallen trees. If done incorrectly, a hazardous tree situation can result in injury or even death. At First Choice, we recommend taking a proactive approach to tree health and maintenance to prepare trees for the changing season and avoid potentially harmful situations. Inspect trees and branches, including the roots, for damage or decay. Call us to offer an expert opinion on the safety of questionable trees and to remove trees with signs of severe damage or decay. Keep all trees properly trimmed. Prune dead or diseased branches. Space branches (thin the tree) to promote proper branch growth, increase the flow of air through the tree, and reduce wind resistance and the forces that often lead to severe damage. Protect the tree's root system with a wide ring of mulch around the base of the tree. Watch for cavities in the tree as these are signs of weak spots in the tree. Call us to install bolts and/or cables or newer generation support systems to strengthen weaker trees. In the unfortunate event that you find yourself with downed trees from a severe storm, it is important to evaluate the situation completely before beginning the cleanup process. Approach damaged trees with extreme caution. Stay clear of downed power lines and wires. If the tree has hit a power line, call the electric company right away and report the incident. A Certified Arborist from First Choice Tree Care will be able to help clear fallen debris once the electrical hazard is cleared. Do NOT attempt to clean up the damage on your own! If a large tree or branch is hanging or under tension, seek professional help. If the damage is not extensive, prune small broken branches, repair the torn bark and let the tree begin to recover. If the tree has already been weakened by disease, has a severely split trunk or has lost more than 50 percent of its crown, it should likely be removed. Call us to help as damaged and weakened trees can be difficult and dangerous to remove.